Horiba UK Medical has announced that Thame and Marlow Community Hubs, within Buckinghamshire Healthcare NHS Trust, have each recently installed Horiba Medical’s latest point-of-care testing analyser, the Microsemi CRP. 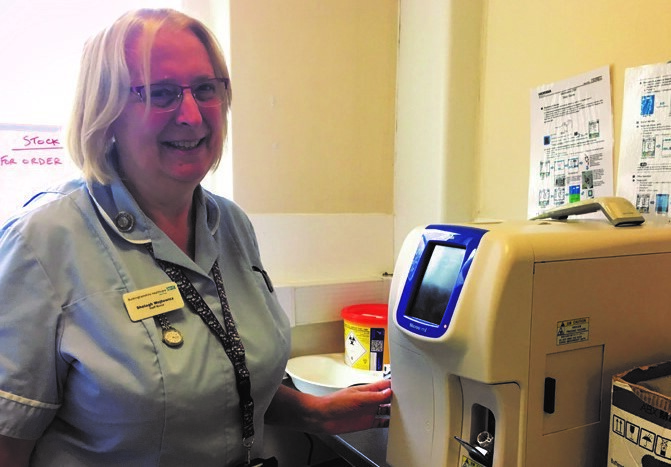 These new analysers are now streamlining existing diagnostic pathways in the community and helping to reduce local A&E admissions for frail patients. The Microsemi CRP is a compact and user-friendly ‘near-patient’ analyser that delivers a lab-accurate, three-part differential full blood count (FBC) combined with a C-reactive protein (CRP) measurement from a single tiny 18μL whole blood sample within just four minutes. Information gathered from the analyser is of great value in determining the presence of bacterial infection and inflammation, and given the rapidity of results delivered, patients can receive the treatment they need straight away, or be referred appropriately and without delay.